It feels like the marathon is a lot earlier this year or maybe I’m imagining things. Anyway, prepare for most roads to be blocked this Saturday so this probably the best time to study for our trivia night and finally do some cleaning in the house. 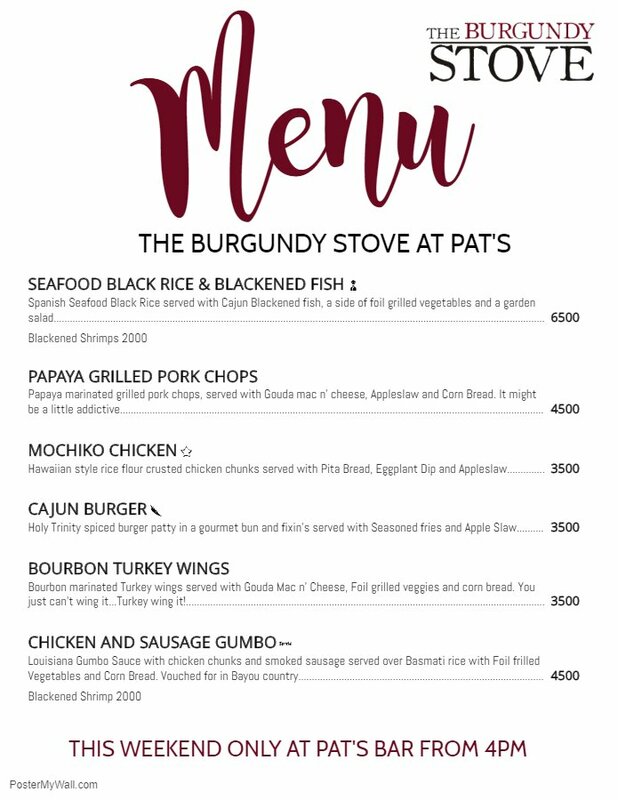 Pat’s Bar is welcoming guests into the kitchen this weekend. Burgundy Stove, one-time festival participant, will be taking over the Pat’s kitchen this weekend. Hopefully, the relationship continues because Pat’s could use some help. ECC is back with with a bang this year and kicking things off with “Happy Hour Series”. Every month throughout the year ECC would be working with a different bar/restaurant to bring you the best happy hour deals so you can save money while getting drunk, it’s a win win! That’s the first part. Then, there’s trivia.